This is a foreign exchange guide to Montenegro, the Euro currency plus EUR transfers and travel tips. Recently it's almost impossible to come across a travel section without someone trumpeting Montenegro as the new 'it' destination. 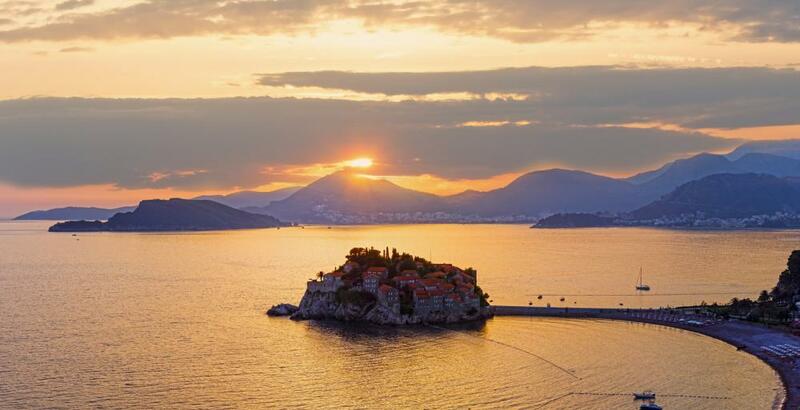 With its rugged mountain views and glistening seaside ports, it’s surprising that the charm and allure of Montenegro has been reserved for locals or those visiting from other Balkan states. Thanks to new cruise ship routes, high-end hotel openings, and a flood of interest from off-the-beaten-path travel enthusiasts, Montenegro is quickly becoming the place to go on the Adriatic. From sweeping views to a fresh focus on food—and ample outdoor activities to keep your heart pumping—this often-overlooked country might be the most surprising place you visit in recent years. What currency should I take to Montenegro? The official currency of Montenegro is the Euro. Credit cards are widely accepted throughout the country. There are ATM machines in almost every city. MasterCard, Maestro and Visa cards can be used for payment in many shops and gas stations. Other cards are accepted in some of the Banks in Montenegro. The prices in Montenegro are not equal all year round. They are often changing according to demand, season, place etc. The prices are significantly higher during the main season at the coast than the prices in inland or during the off-season time. They are adjusted in compliance with measures and purposes of the Montenegrin authorities. The local bus network is extensive and reliable. Buses are usually comfortable and air-conditioned; they’re rarely full. It’s usually not difficult to find information on services and prices from the bus station. Most have timetables prominently displayed, although they’re not always up to date.It’s a bit cheaper to buy your ticket on the bus rather than at the station, but a station-bought ticket theoretically guarantees you a seat. Reservations are only worthwhile for international buses, at holiday times, or where long-distance journeys are infrequent. Most Montenegrin towns, even Podgorica, are small enough to be travelled by foot. Podgorica is the only city to have a useful local bus network, costing 80c per trip. Taxis are easily found in most towns. If they’re not metered, be sure to agree on a fare in advance. Some Budva taxis have their meters set at extortionate rates, so ask to be let out if you suspect something's amiss. Independent travel by car or motorcycle is an ideal way to gad about and discover the country; some of the drives are breathtakingly beautiful. Traffic police are everywhere, so stick to speed limits and carry an International Driving Permit. Allow more time than you’d expect for the distances involved as the terrain will slow you down. You’ll rarely get up to 60km/h on the Bay of Kotor road, for instance. As long as you have registration/ownership papers with you and valid insurance cover, there should be no problem driving your car into Montenegro. The trains are old and can be hot in summer, but they’re priced accordingly and the route through the mountains is spectacular. There are no regular ferry services within Montenegro, but taxi boats are a common sight during summer. They can be hailed from the shore for a short trip along the coast or to one of the islands. They’re harder to find outside the high season; look for them at the marinas. Some boats advertise set cruises, but normally they operate on an ad hoc basis. 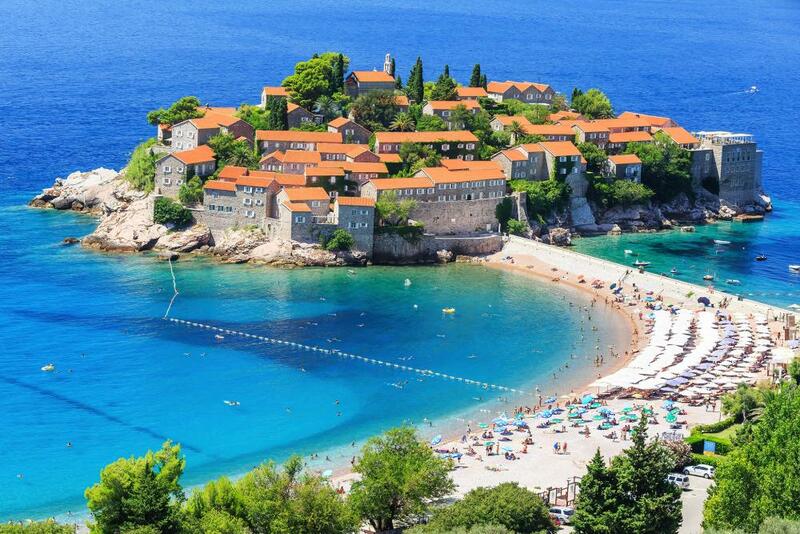 It's not even 300km from tip to toe, but Montenegro's coastline crams in some of Europe’s most spectacular seaside scenery. Mountains jut sharply from crystal-clear waters in such a way that the word 'looming' is unavoidable. Ancient walled towns cling to the rocks and dip their feet in the water like they're the ones on holiday. Montenegro’s ski season lasts from roughly January to March, with the peak time being around New Year. The best-equipped ski resort is near Kolašin, but the most reliable skiing is in Durmitor National Park, where there are slopes close to Žabljak with options for beginners or serious skiers. There are also small ski centres near Nikšić and Rožaje in the east. Cross-country skiing can be undertaken in Lovćen and Durmitor National Parks. When searching around for information on how to get a good exchange rate when sending money to Montenegro you need to start with finding out the latest Euro foreign-transfer exchange rate. Once your funds are received by the provider the converted EUR amount will be transfered to the recipient account you specify in Montenegro.